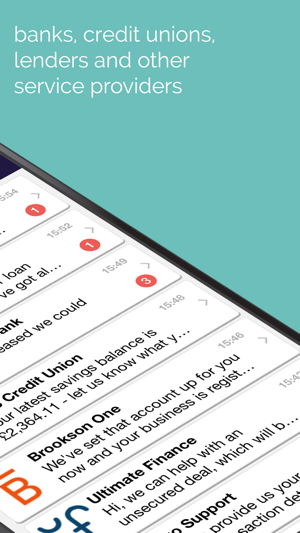 Nivo is a secure messaging app that lets you talk to organisations. 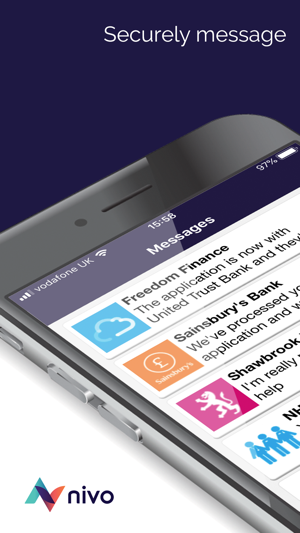 With Nivo the secure messaging app you can send and receive messages, photos, videos and files to/from organisations like lenders, banks, building societies, credit unions and professional services firms. 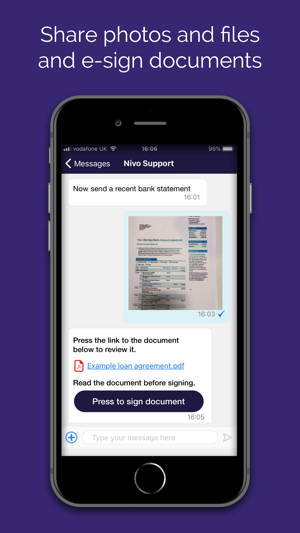 The identity of organisations on Nivo are verified so you can always be confident it’s definitely them you are messaging and not a fraudster. Because messages are encrypted and private you can send confidential information, ask any question and complete a range of transactions. Depending on which organisations you are messaging, their processes may require you to identify yourself the first time you use the app or if you change device or PIN. 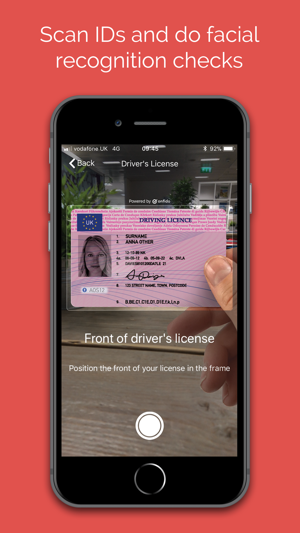 This could include being asked to scan an identity document and undertake a facial recognition check. This release welcomes the arrival of forms as well as many improvements under the hood, alongside some general bug fixes that will make your Nivo experience so much slicker! Get ready for more good stuff, heading your way soon.